The fourth annual Michigan Pre-Draft Showcase powered by Harrow Sports will be held in Canton, Michigan May 6-8 2016. The camp will be featuring junior eligible players from Michigan and throughout all of North America. 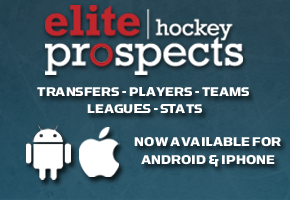 The Michigan Pre-Draft Showcase offers opportunities for players with premier Junior “A” teams throughout the weekend. The past three year's the showcase has seen nearly 1000 players and numerous scouts walk through the doors of Arctic Edge Ice Arena to participate in the highly competitive weekend. The 2016 showcase will feature up to 40 teams competing in the event. All player's will be receiving a four game guarantee with divisional championships being played on Sunday. A certified trainer will be in attendance for all games. The showcase will offer two divisions! The Junior division will feature players born 1995 and later. The Young Guns division will feature players 1998 and Under. Players are allowed to play up a division. The 2017 Michigan Pre-Draft Showcase has invited teams from the OHL, QMJHL, WHL, USHL, NAHL, BCHL, AJHL, MJHL, SIJHL, NOJHL, USPHL, NPHL, NA3HL, and many more!